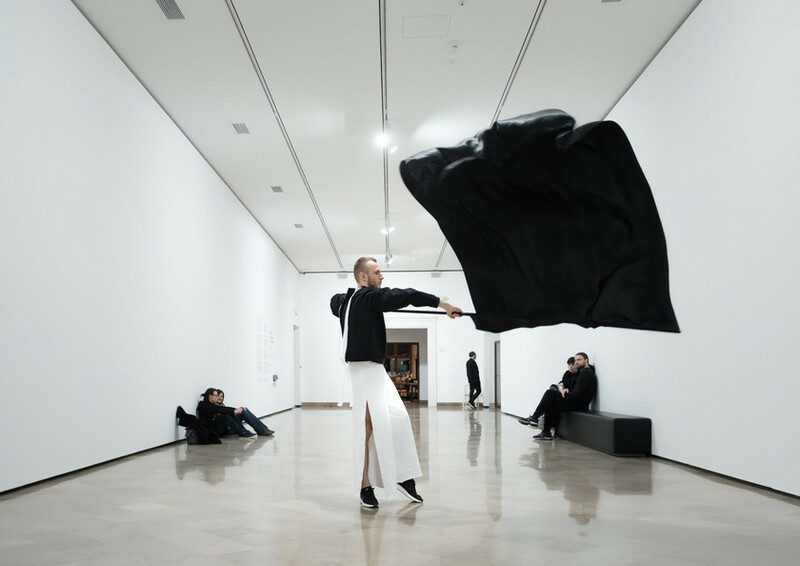 Free Gestures is a choreographic exhibition, activated by a group of dancers for five hours each day. The starting point is the question of how ideologies become incorporated into our bodies and language. Here, it is not the performers’ bodies or objects that are the works of art, but rather the performed texts, gestures, and movement. 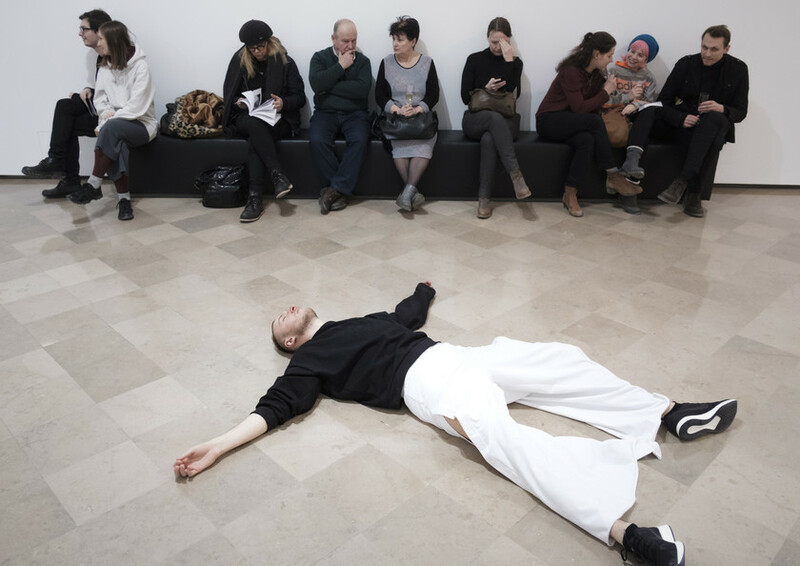 The first individual exhibition of Ula Sickle, a Canadian artist of Polish origin, presented in the Ujazdowski Castle Centre for Contemporary Art, confronts the problem of the loss of individual and collective agency in today's world. 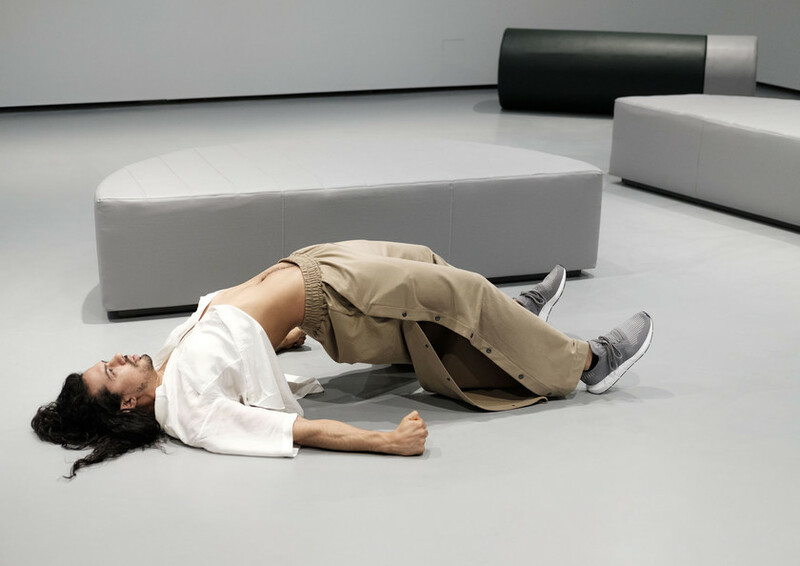 Ula Sickle comes from a choreographic background. 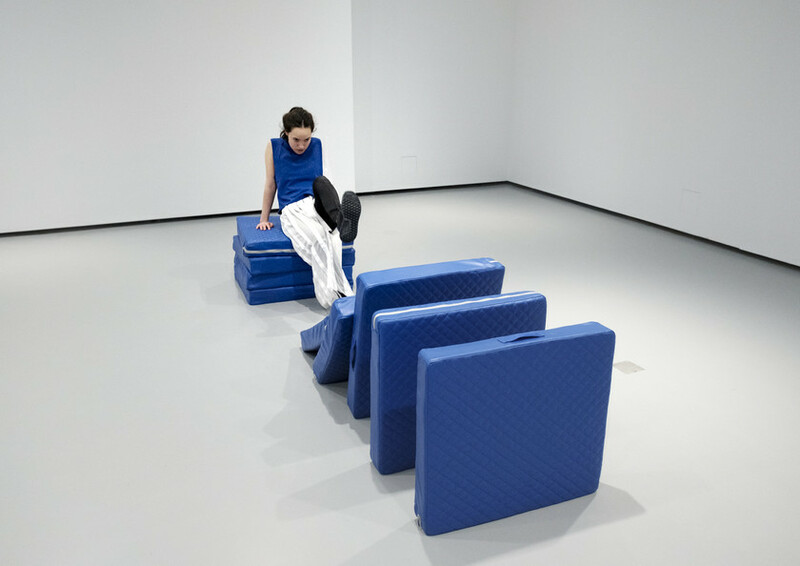 She creates performances and installations as well as works at the interface of disciplines, in which she probes pop culture as a global phenomenon. 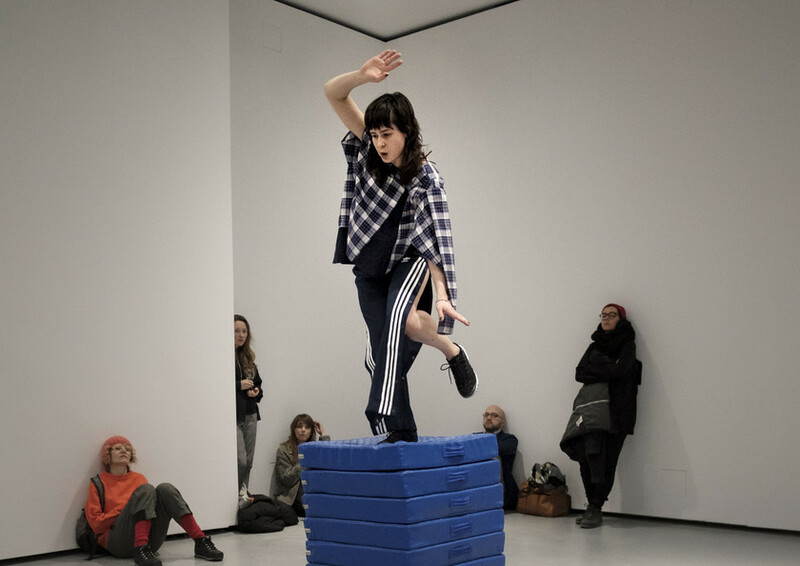 She frequently ventures beyond the canon of contemporary dance, introducing elements of street dance, club culture or mass concerts. She works closely with DJs and, as with the work Kinshasa Electric, the hip-hop scene in the Congo. 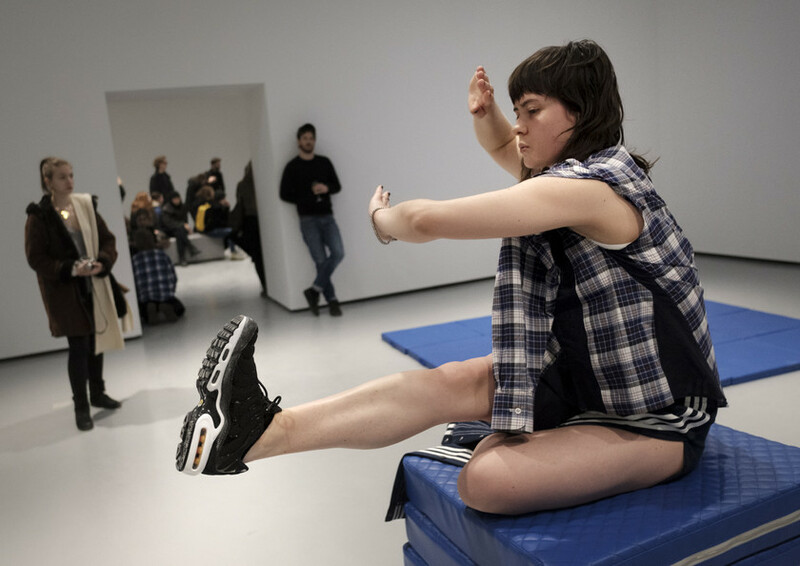 In the exhibition Free Gestures, she takes on board capitalism at the intimate level of our bodies and language. According to Georgio Agamben, we live in times when we have lost our own gestures and paradoxically we have become obsessed with them, as evidenced by selfie culture, online photo banks or the patented system of operating a computer with gestures, developed by Apple. When ideology becomes omnipresent, it begins to seem quasi-natural. What, then, constitutes a counter gesture in a system that has absorbed all opposition? The title of the exhibition includes a double meaning that only comes across in the original Polish, Wolne Gesty. Wolne comes from wolność, which means freedom, while powolność is slowness. If we refer to the slowness of gestures then perhaps we can see the dance in it. 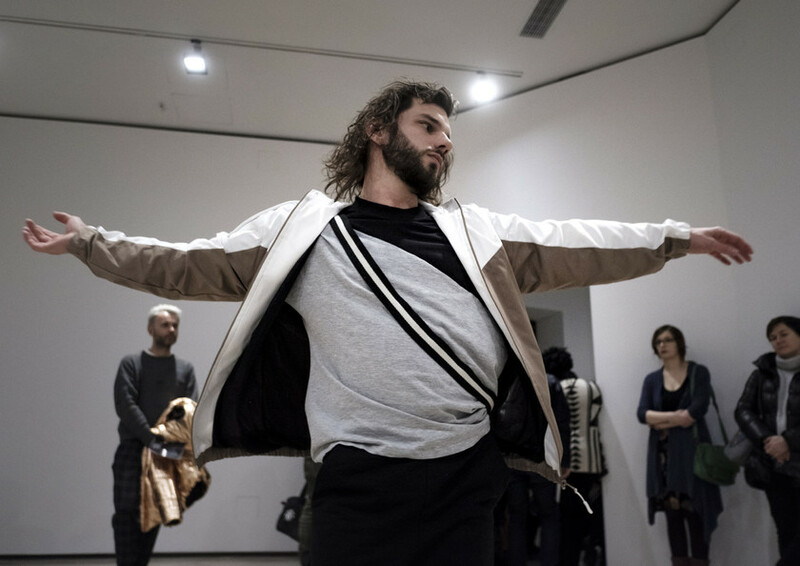 Free Gestures is an encounter between choreography, literature, and the format of an exhibition. The artist has combined the voices of five writers from different corners of the world: Natalia Fiedorczuk-Cieślak (Poland), Amandeep Sandhu (India), Jacob Wren (Canada), Mi You (China), and Anna Zett (Germany) have been invited to contribute their own perspectives by writing a short piece for the performers. Through their subjective narrative, the literary texts demonstrate how contemporary ideologies percolate into everyday life through new media or visual culture. 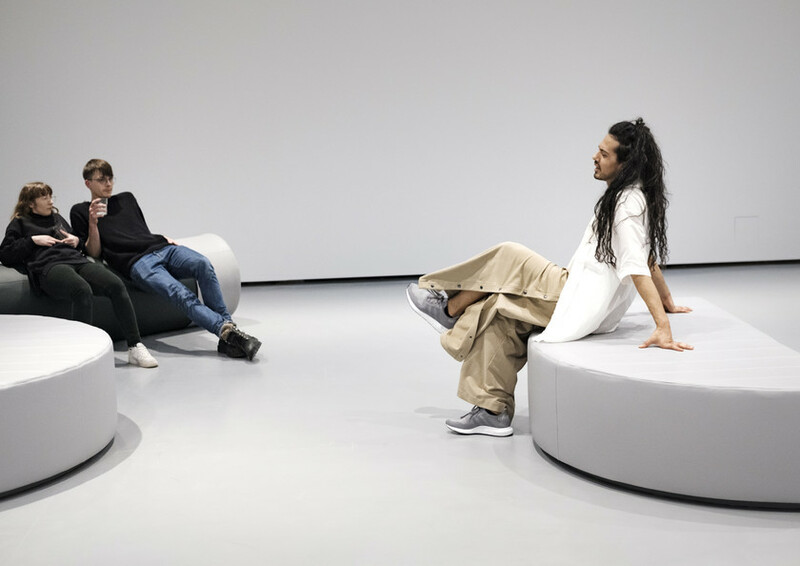 The writers, as well as the artist, curator, and performers all share the perspective of the same generation, who came of age in the 1990s—an era of dominant capitalism and the neoliberal economic model. 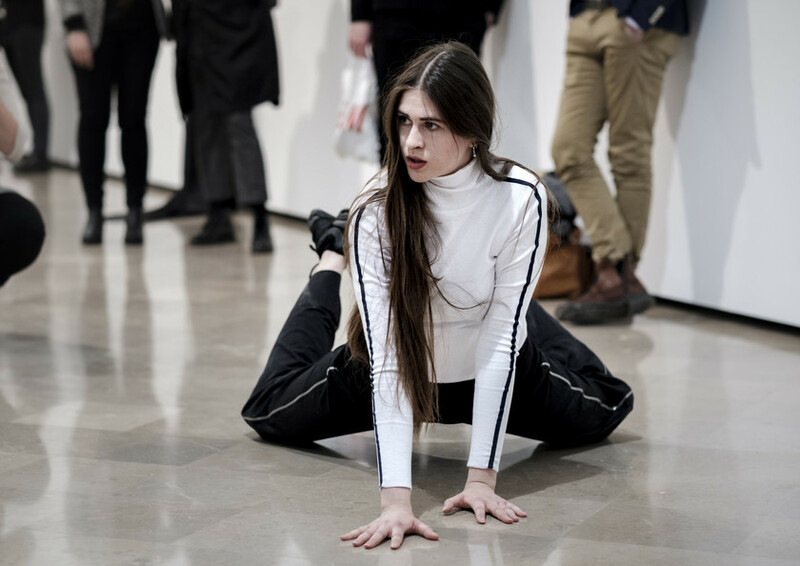 The exhibition has been produced as part of Ula Sickle’s artist residency at the Ujazdowski Castle Centre of Contemporary Art, and is one of a series of projects organized by the institution to explore new exhibition forms, with an emphasis on the performative exhibition format, focused on live action.